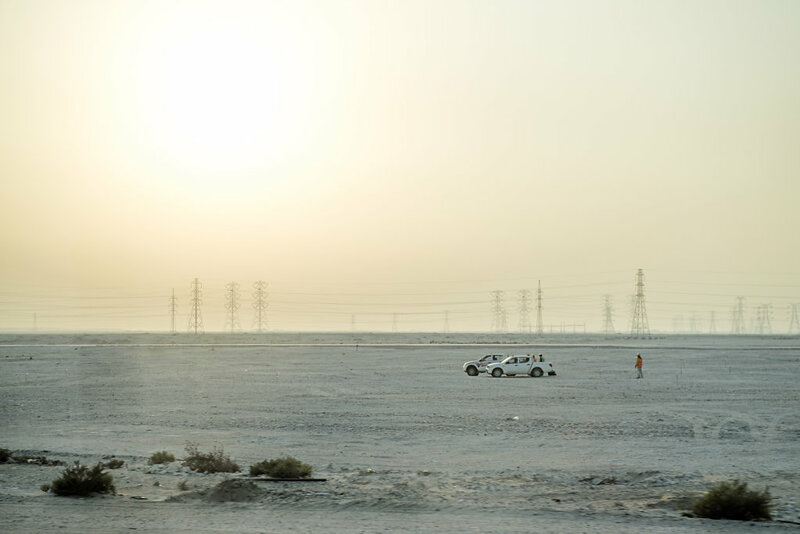 Qatar won the hosting of the football World Cup in 2022. 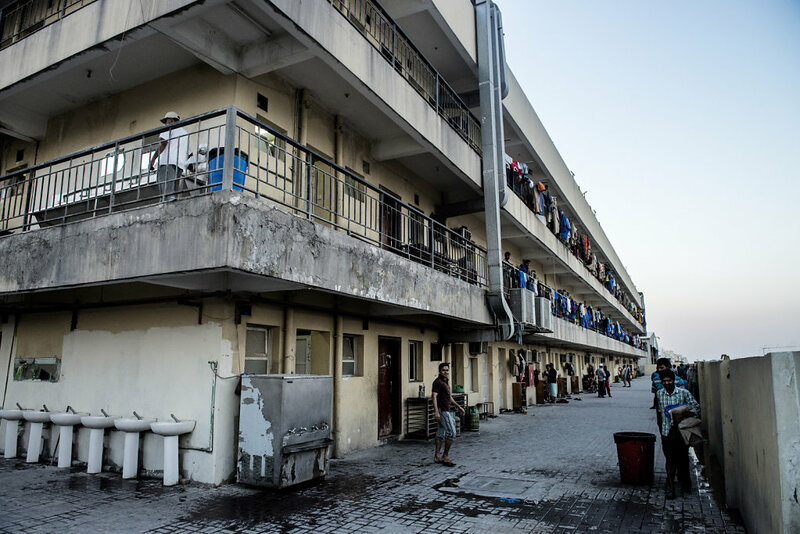 So far, more than 1,000 guest workers have already paid with their lives, related with the construction of stadiums, infrastructure, hotels and shopping malls. 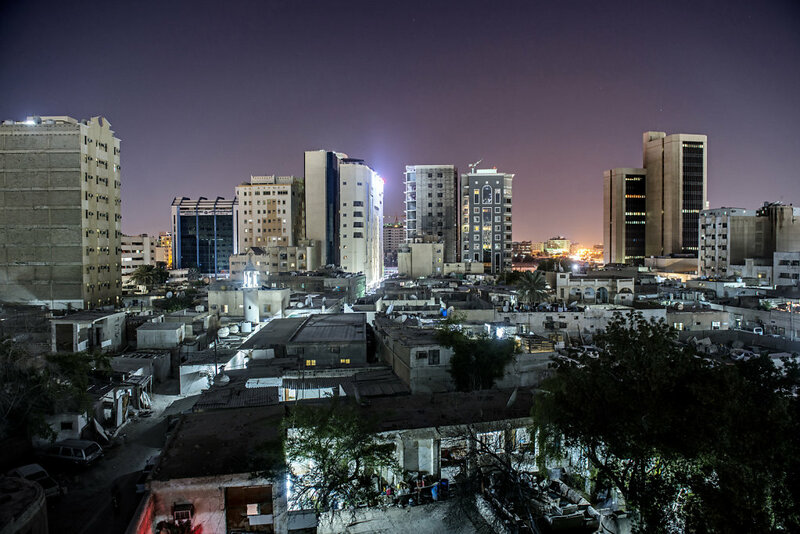 Qatar is the world's leading country in terms of average monthly income. It has not rubbed off on guest workers' wages. Or safety. Or standard of living. 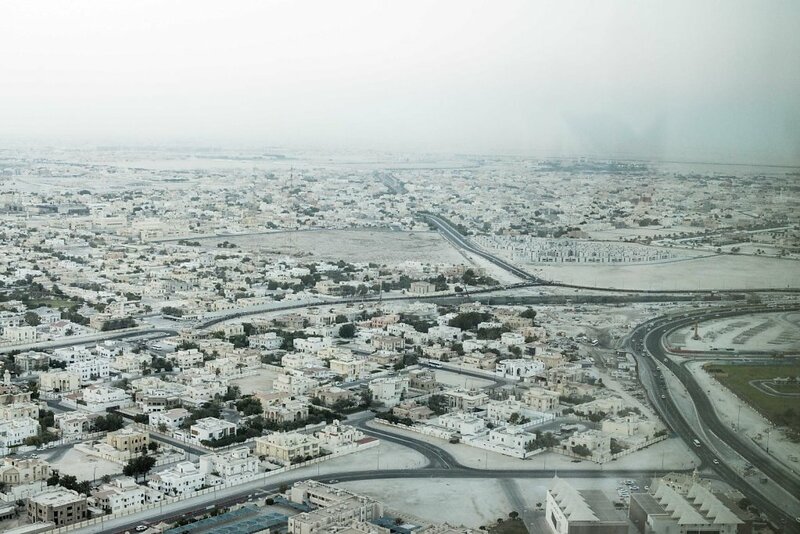 Two million people lives in Qatar. The native population is nearly 300,000. The rest are guest workers. Most of Nepal, India, Africa or Sri Lanka. 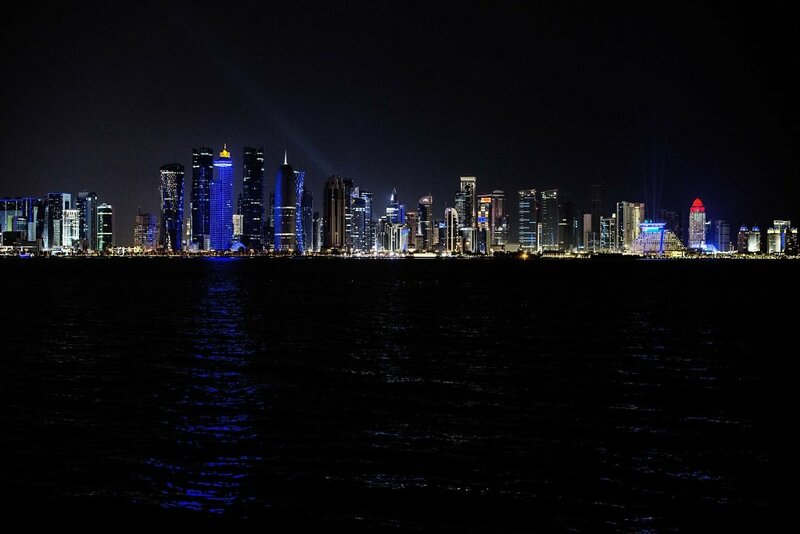 Doha Skyline. 15 years ago, this was all dessert. 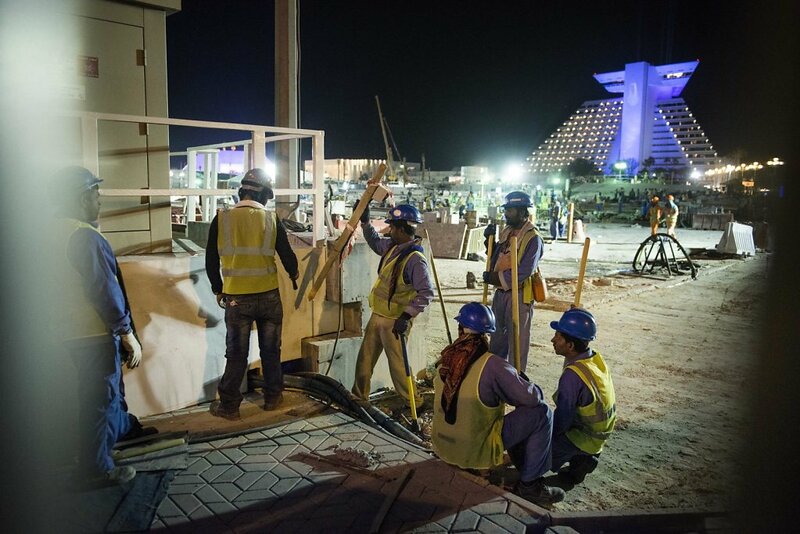 Migrant workers during a nightshift in Doha. In a room of about 20 m2, with 12 beds, it has the limited privacy. 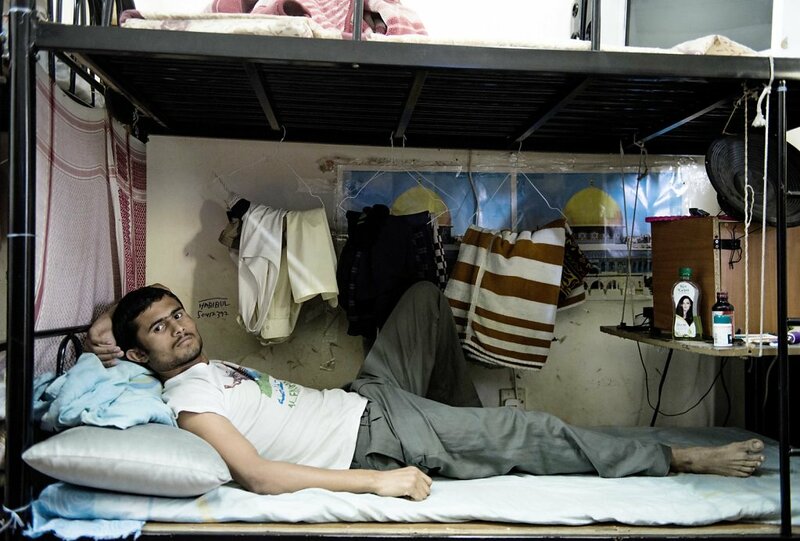 Mohammed lying in his bed. But besides sleeping, there must also be room for all his possessions. 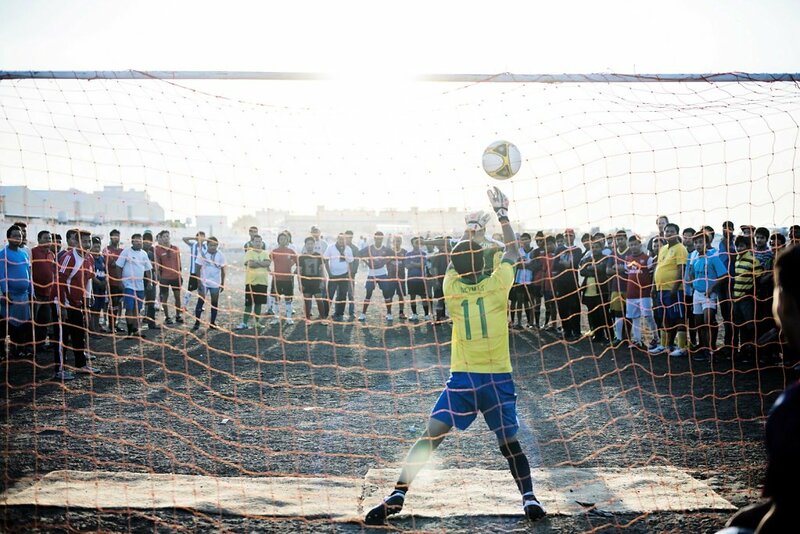 Dressed in soccer jerseys from around the world, the workers are spending, their only weekly day off, on their own soccer tournament. However, it’s on a court without grass and air conditioning. 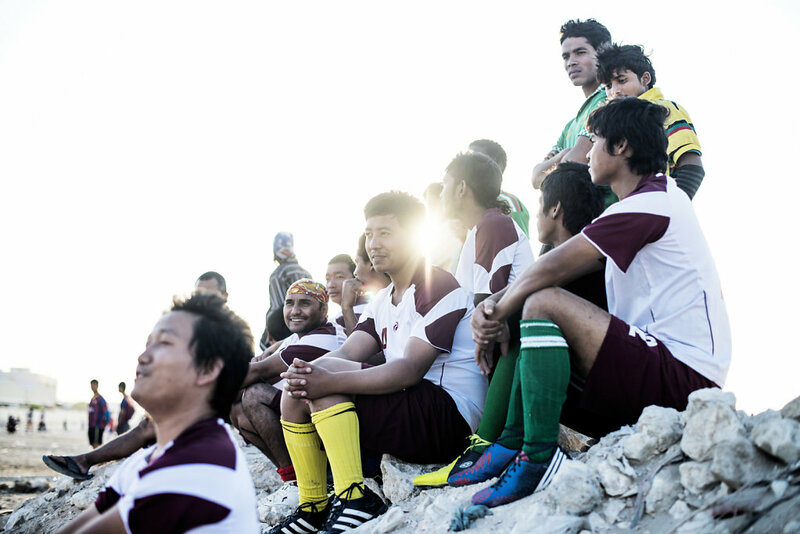 Dressed in soccer jerseys from around the world, the workers are spending, their only weekly day off, on their own soccer tournament. "I'm not very happy now." Robin has spent most of his day off, trying to get in contact with his family in Sri Lanka. But when 1 1/2 million guest workers, who all want their weekly glimpse of the family, is doing the same, the network quickly overload. 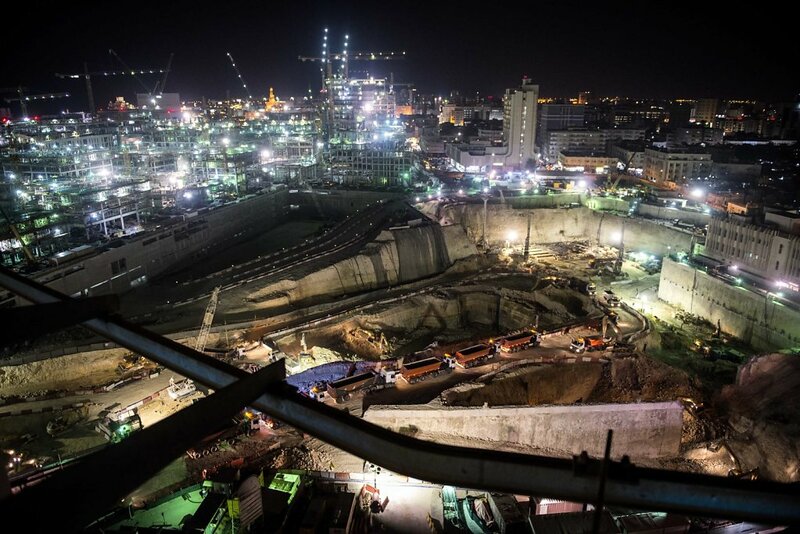 Huge constructionsites is everywhere in Doha. Not only stadiums has to be ready for 2022. 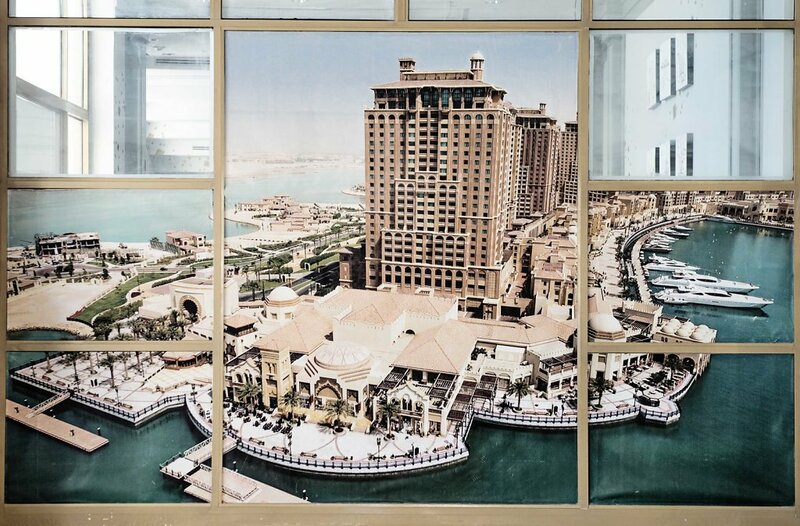 New hotels, new infrastructure, new shopping malls and new corporate headquarters. 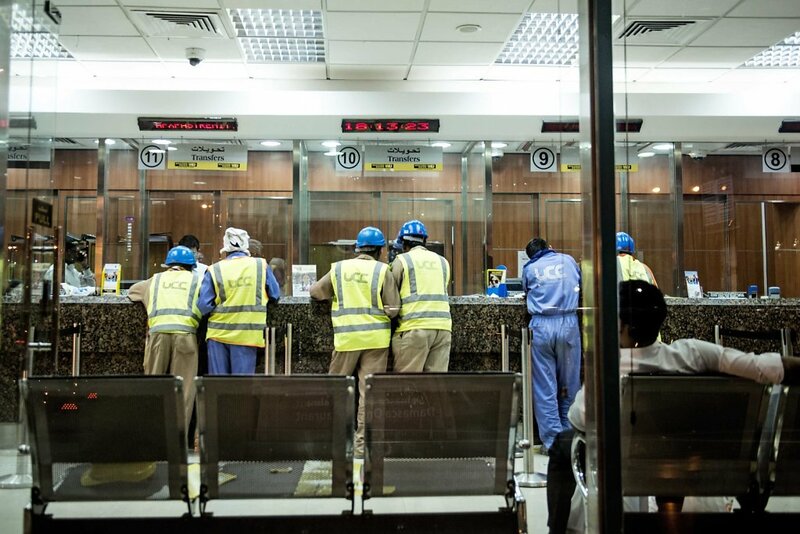 Many workers are doing between 12 and 14 hours work, a day. 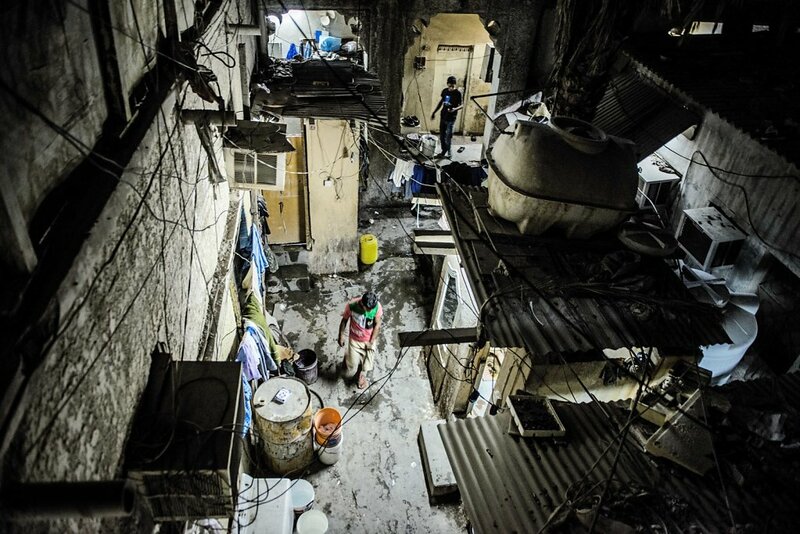 Most of the migrant workers are living in huge camps, in the desert, far away from anything. 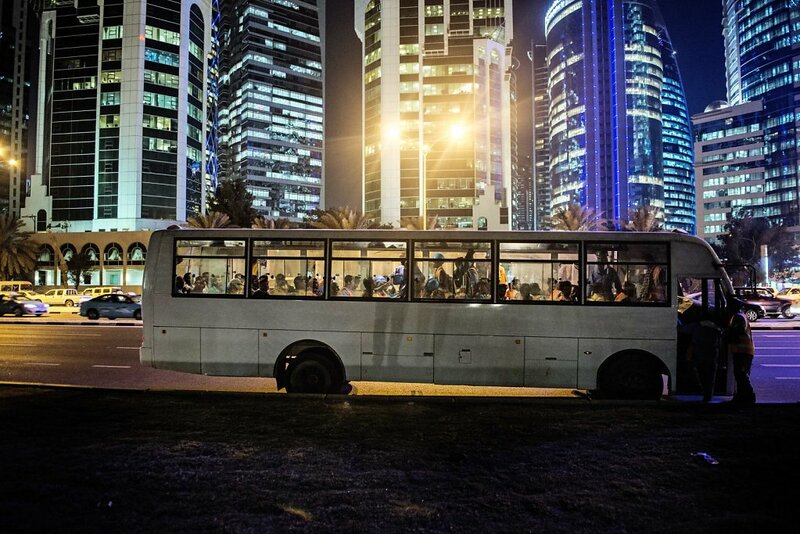 Each day, large buses carries the many migrant workers, into construction sites in Doha. 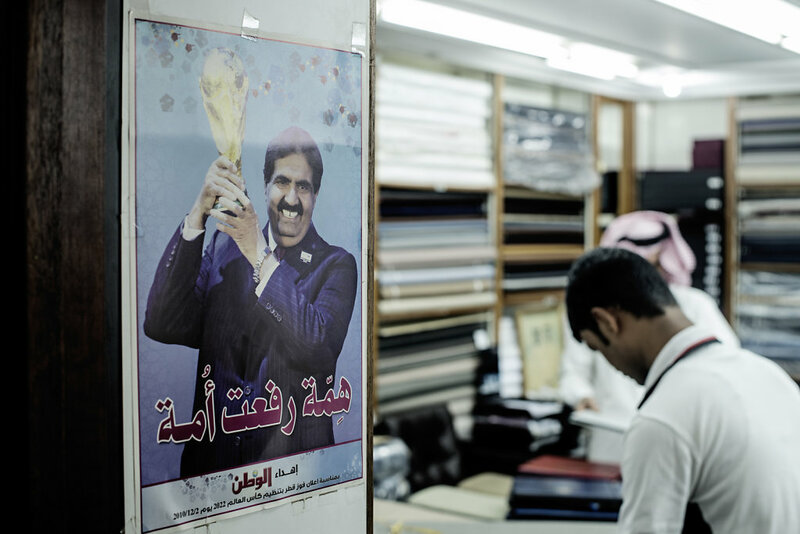 In the closed compounds, it's also where the rich qatari spend their day, with cafes and shopping. 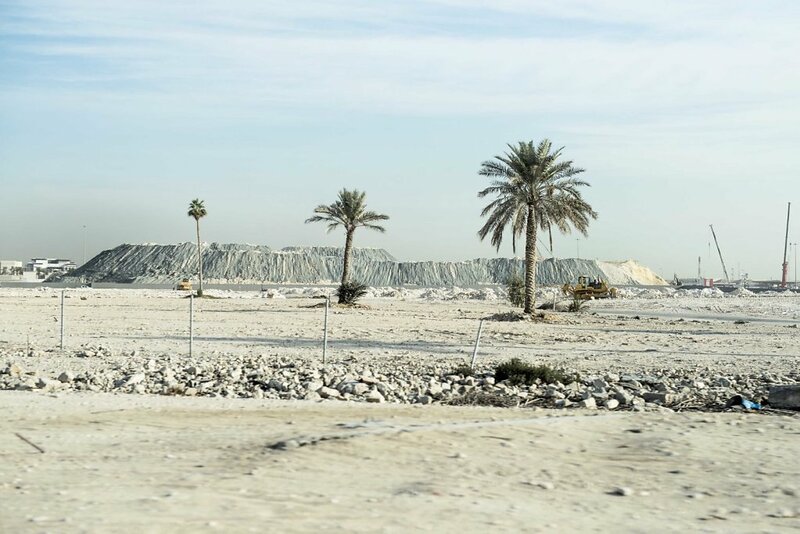 When rich foreigners come to Qatar to work, they mostly live in closed areas like these. Many of the deaths, that has been registered, has happened because of exhaustion. The workers goes to bed at night, and are found dead the next morning. 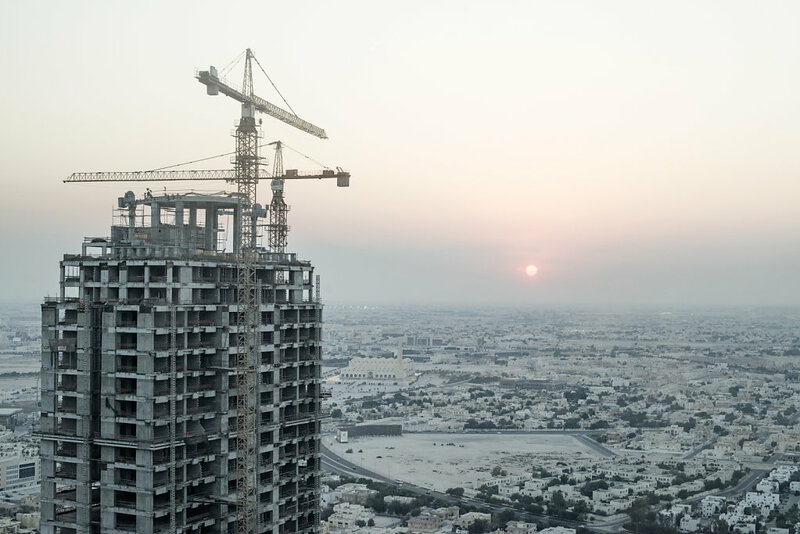 Some guest workers have worked in other countries, such as Saudi Arabia or Dubai. 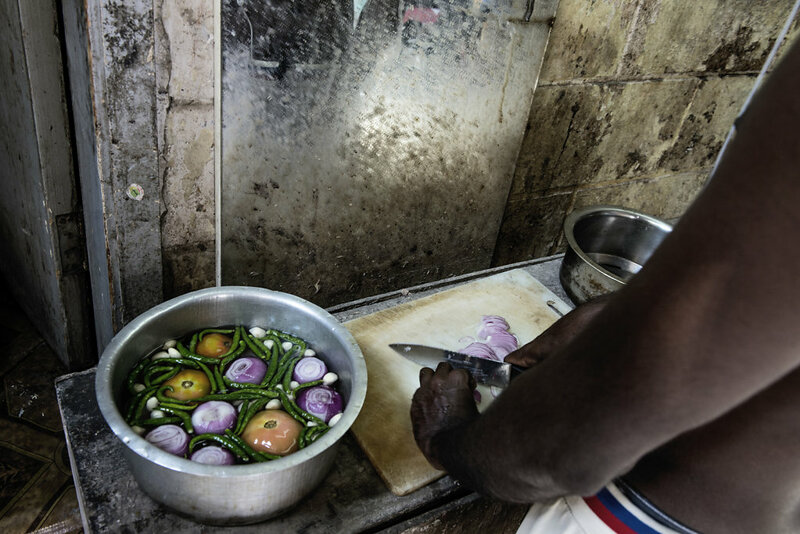 They go work abroad, to give their families back home, a better life. 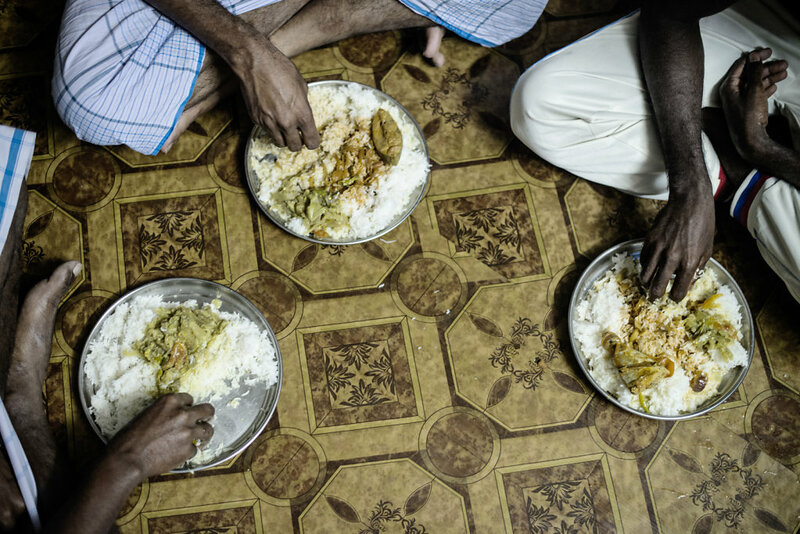 Give their children an education, or simply ensure that the meal is served. Tired. Exhausted. A working day is over. Soon the bus comes and will drive him back to his room. That he shares with 10-12 other.